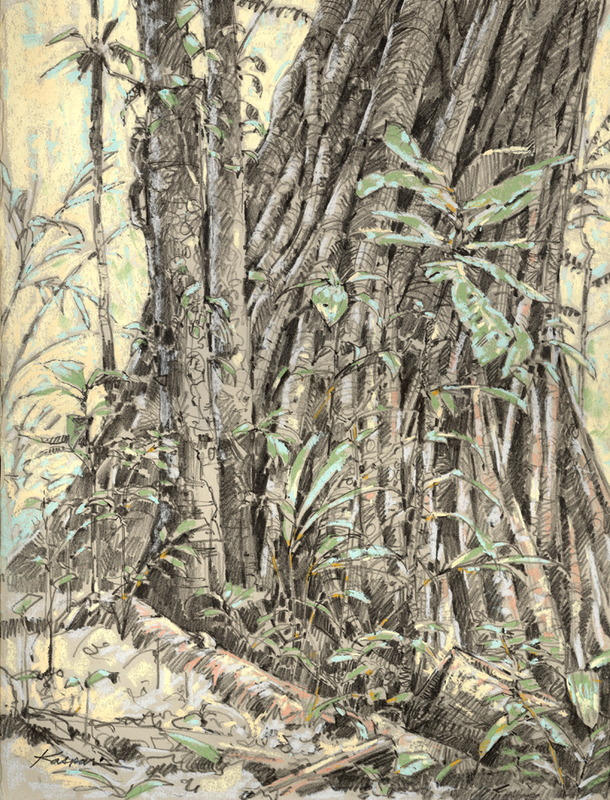 This is the original drawing done plein air in the Amazon forest. I extracted parts for the larger, more colorful piece. I listened to this as I drew. The song, which is by an Elegant Woodcreeper, times out at 58 seconds long.